Announcement Trish Dobson Designs and Beastly Bootique offer a wide array of cast resin costume and cosplay horns, Fursuit and Partial Supplies, Faux Fur Tails and Fox Ears, Prosthetic Horns, Pet Play and Kitten Play gear and Cute Charms, Stickers and more. Thank you for visiting our shop! Thank you for visiting our page! We do custom requests on a case by case basis and can accommodate most requests. So, don't be afraid to ask! 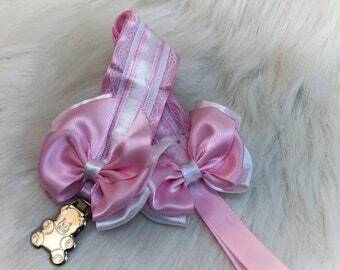 Kitten play collars have a 14 to 21 day turn around time due to order volume. Please keep this in mind when placing orders. We do offer rush processing to move your order to the front of the line but there is still some processing time involved. Please refer to timelines prior to placing orders. 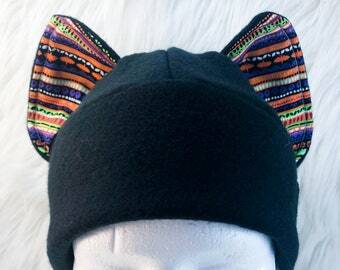 We do not do custom orders for faux fur ears. They are released in batches and we announce all themed releases. Faux Fur Ears will be sold as first come first serve. Trish Dobson Designs and Beastly Bootique offer a wide array of cast resin costume and cosplay horns, Fursuit and Partial Supplies, Faux Fur Tails and Fox Ears, Prosthetic Horns, Pet Play and Kitten Play gear and Cute Charms, Stickers and more. Thank you for visiting our shop! 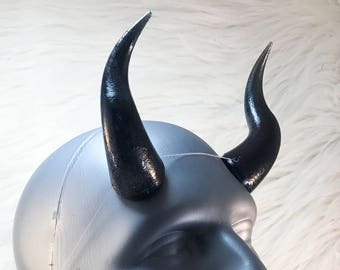 These horns are perfect❤️ Came extremely fast and the seller was super helpful and understanding that I needed them fast! I got countless complements on them💕 super vibrant and not too heavy!! The horns look incredible! They fit just perfectly and arrived even earlier than expected! These will be a great addition to my new LARP character! Super fast shipping & super cute horns! The rush order option got me them in time for my convention thank you so much! It's September Officially and I am impatient! It's time to break out the candy corn! By request, we have added a Rush Order option to jump you to the front of the line and get our products to you quicker! We also are now offering gift wrapping services. Custom embroidered creations :) Nothing like a hipster fall acorn patch to brighten your day! Working on new sticker sets!! Kawaii cute onigiri stickers, inspired from my absolute love of japanese snacks. We love making our new line of frilly, fabulous collars! Perfect for pet play, kitten play or just regular wear. Trish Dobson Designs started from a love of costuming. When one dons a costume they transcend from who they are into someone totally new. It is a freeing experience. From that place of freedom, the idea started to create custom 3d printed and hand casted costume accessories that were unique and affordable to all. It has evolved to include custom fursuit, pet play and kitten play gear, as well as, a full like of kawaii charms and stickers. Each item begins as a sketch on a piece of paper that is then transposed into a digital realm via 3D modeling software. The computer generates a code which is sent to a 3d printer where layer by layer the digital sketch becomes a physical three-dimensional object. This object is cleaned, sealed, painted and cast in rubber mold to then be reproduced into the wonderful glittery horns you see in our shop. Both the cast models as well as the original 3D prints are available each having their advantages to the wearer. We also pride ourselves in offering unique custom 3D printed accessories. Please use the custom order or contact options to discuss these possibilities further. Trish Dobson graduated from Towson University with a Bachelors degree in Interdisciplinary Object Design. She has skills in 3D object design via hand casting techniques as well as rapid prototyping, 3D printing and rapid manufacturing methods. They are a jewelry and custom engraving shop. We outsource our engraving with them as we no longer have the time to engrave each of our tags with our personal laser engraver. We send all custom information to them and they engrave the design to our specifications. To fulfill your order, you must provide me with certain information authorized and provided to me via Etsy such as your name, email, address, payment information, and details of orders. You may have also provided custom information in the case of collars or horns. 1. as needed to provide my services, such as use your information to fulfill your order, settle disputes or provide customer service. 4. Compliance with laws. I may collect, use, retain, and share your information if I have a good faith belief that it is reasonably necessary to: (a) respond to legal process or to government requests; (b) enforce my agreements, terms and policies; (c) prevent, investigate, and address fraud and other illegal activity, security, or technical issues; or (d) protect the rights, property, and safety of my customers, or others. I may store and process your information through third-party hosting services in the US and other jurisdictions. As a result, I may transfer your personal information to a jurisdiction with different data protection and government surveillance laws than your jurisdiction. If I am deemed to transfer information about you outside of the EU, I rely on Privacy Shield as the legal basis for the transfer, as iCloud is Privacy Shield certified. We except returns and exchanges on a limited basis only. If an item has a defect, it is the buyers responsibility to contact us within 48 hours of delivery with photographic evidence of the defect. The seller is responsible for returning the product prior to an exchange occurring. We accept custom orders on any of our available products. Please keep in mind, due to the nature of customized items we will not take returns on custom products. We do offer gift wrapping. We used either a white or purple poly mailer in most cases with a Beastly Bootique sticker or stamp. Our safe for work website (costuming items) is listed on the packaging. If your costume horns are to become dirty, wipe them with a soft, damp cloth. While they are durable, drops and falls can break them so please be careful when handling your new horns. Collars can be hand washed only with cold water. We can accommodate wholesale orders. Please inquire. Each item is handmade. Collars, Garters and sewn accessories can have up to 1/2" of variance from the listed size. Our collars are measured from D-Ring to D-Ring. Garters are measured 2" smaller then specified custom size to allow for a tight stretch fit. Trish Dobson Designs, LLC. reserves the right to reproduce custom made items. We reserve the right to photograph items we create and may use them for advertising and promotional purposes. All photos therein are the property of Trish Dobson Designs, LLC. and cannot be used without permission. I do offer rush processing on a case by case basis. This does not include shipping time. Please take that into consideration prior to placing an order. I cannot guarantee delivery by a specific date. Due to delays in shipping that are out of my control, I will not guarantee delivery by a specific date. Processing time is generally 3 to 4 weeks from the date the order is placed. Shipping time on average in the U.S. takes 3 to 5 business days. Please plan accordingly prior to placing your order. Our collars and horns are all custom made just for you, so that craftsmanship takes time. Refunds will not be given for orders delayed in shipping.